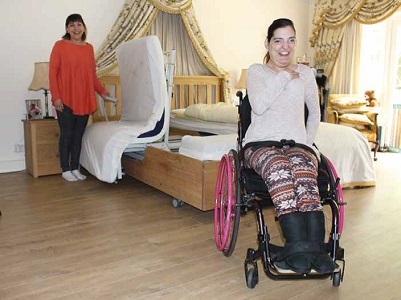 When considering where best to position a bed in a room, decide whether access to the bed needs to be from both sides or one side only. The position of fixtures and fittings within the room e.g power point/s or window/s. The users method of transfer. If the person can transfer independently, do they prefer to transfer from a particular side? 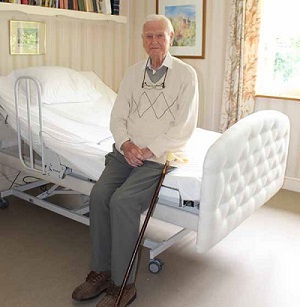 If he/she is assisted, allow extra space for the carers and transfer equipment. The tasks carried out on the bed. 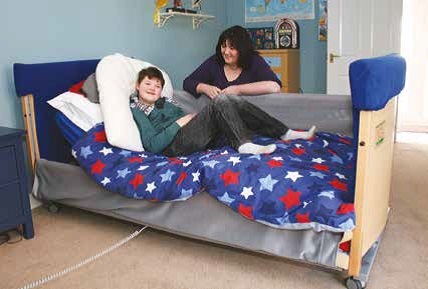 Do carers need access for both sides for bed bathing, for example?